Crafting a competition repertoire list can seem like a daunting task. The operatic repertoire is huge, and more music is being added every year thanks to companies who support new works. Additionally, each artist wants to make the maximum impact in a short amount of time—somewhat like operatic speed dating. Standing out in a crowd of talented singers is tricky, especially for sopranos and mezzo-sopranos who, frankly, have more competition. How can you impress a judging panel while fulfilling the parameters outlined in the application and remaining true to yourself? In chatting with colleagues from both sides of the table, it’s clear the answer is complex and deeply individual, but I’ve teased out some common threads that may help demystify the programming process. Repertoire lists must display as complete a picture of your skills as possible. With the help of your team of voice teachers and coaches, identify what your “party tricks” are. Are your floated high notes spectacular? Make certain that is shown in at least one selection. Is your agility impressive? Program Bel Canto or Baroque arias that highlight that skill. Don’t just focus on that one aspect, however, as judges want to see a complete picture of your capabilities. While you are performing your opening number, one of the things going through a judge’s mind is what they will choose to hear next. If you begin with an aria full of fioratura, the panel will quite likely wish to hear slow legato line next. Metropolitan Opera bass Eric Owens, who enjoyed great success in many prominent competitions, correctly asserts that Mozart and Verdi selections will “shine a bright light” on a singer’s technique. If you include those composers—and most singers should—be certain they won’t highlight your vocal challenges. Owens also shares that when competing and auditioning regularly, he always included at least one selection that he could sing confidently when “jostled out of bed at 3:00 a.m.” He points out that audition circumstances are not always ideal. The logistics of travel planning may fail you, or there may not be a dedicated space for your accustomed vocalization routine. The starting aria must be one that shows you at your vocal and artistic best and sets you up for maximum confidence and artistic impact. Arlene Shrut, a highly respected competition pianist, describes the ideal opening aria as one which is “perfectly suited to voice, personality, physical presence—a signature piece.” Often singers attempt to second-guess a panel’s choices, planning their starting number according to what they think a panel will choose next. This is a futile exercise—far better to expend that energy on making certain that every selection is equally polished and ready to present. It’s essential to understand that a list that may be appropriate for a singer fresh out of graduate school may not be the same as a list for a singer in their late 20s or early 30s. Ideally, each artist is constantly learning and developing their technique, musicality, and artistry. Gayletha Nichols, former executive director of the Metropolitan Opera National Council Auditions, points out the differences in expectations at these distinct stages. A younger singer who is currently enrolled in or has recently completed an academic degree is often expected to show “everything,” demonstrating familiarity with four centuries of musical style and at least four of the major operatic languages. As one grows and narrows down one’s identity as a singer, the list becomes more specific. The goal is instead to show “what you are,” as a more polished product, ready to present yourself for house auditions. Shrut reminds singers at the latter stage to present arias with the knowledge that you can sing the complete role. Owens, Nichols, and Shrut each believe in programming nonstandard repertoire for competitions very judiciously. High-quality repertoire that is not overused can make an individual statement, but a list of five arias that few people know is not recommended by most of my colleagues. Perhaps a lesser-known selection will be your ideal starting aria, but it only benefits your audition to have options on your list that are more familiar. Panelists may enjoy hearing a new-to-them aria as an audience member, yet may find it difficult to judge your performance if they aren’t aware of the pitfalls. Be very certain that your obscure selection has musical and dramatic value. Opera can be an academic pursuit but, first and foremost, Nichols reminds us it is a theatrical art form. As much as we may wish otherwise, panelists may not be interested in hearing your Russian aria that you discovered while on a Fulbright study in Moscow. And if a Baroque opera has languished in obscurity for centuries, there may be good reasons for that. A general suggestion for a list of five arias is to program at least two selections, preferably three, that are familiar. A tangent to this thread on obscure repertoire: you’ll often be working with a pianist with little or no rehearsal. 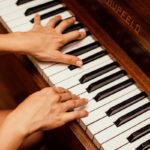 Experience level and repertoire knowledge can vary wildly among audition pianists. Even supposedly standard repertoire can be a challenge (Anne Trulove, anyone?) so plan your repertoire list knowing that throwing the pianist a curve ball may be a calculated risk. And if you have a particularly tricky aria on your list, don’t hesitate to investigate who will be your pianist and communicate with them before your audition. As an audition pianist, I welcome this type of communication as I want to do my best for each singer. 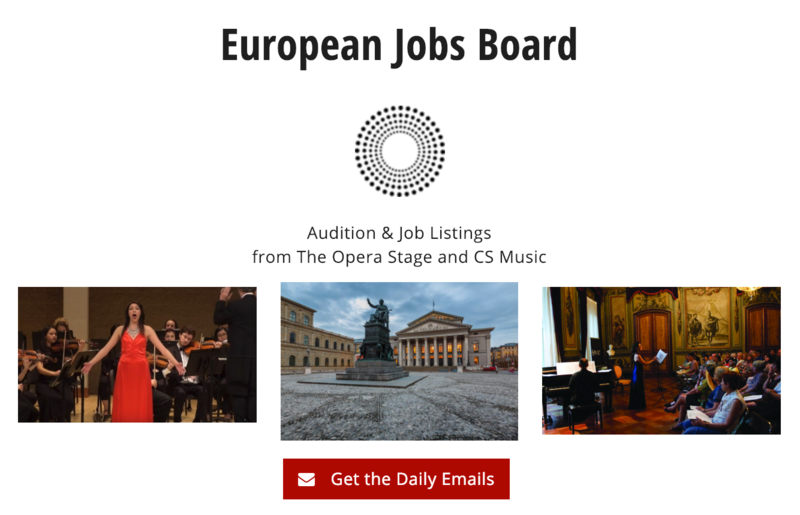 Up to this point, the discussion has centered on general opera competitions and auditions, for which singers present a list of four to six arias from the operatic repertoire. There are several competitions that carry specific repertoire requirements, such as the Lotte Lenya or American Traditions Vocal competitions. When planning for these, deep research into lesser-known works can pay off. It’s no accident that American Traditions Vocal Competition has a “Do Not Sing” list that includes often used classics like “Moon River” or “Over the Rainbow.” Though these are wonderful songs, the panelists in this case want to see your abilities as a programmer/researcher as well as performer. And it shouldn’t have to be said, but please make certain you read the audition requirements carefully. You do not want to realize one week before the audition that the rules specified a 21st century selection, not 20th century. Each of the colleagues I discussed this topic with agreed on one item: use your repertoire list to share what makes you special as a singer, artist, and theatrical performer. Whether you earn an award or not, every audition is an opportunity to introduce yourself to another group of people who can support your growth as an artist as well as offer you performance opportunities. Gracious non-winners can gain as much from their participation in a competition as that lucky singer who comes out on top that particular day. It may seem like a time-worn platitude when the award announcer says it, but it’s true—there are no losers in an audition. It’s up to you to create your victory.